On Friday evening lots of Merton teachers went up to the Royal Albert Hall for a production meeting. 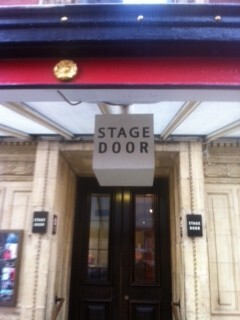 I was very excited because we got to go through the stage door! 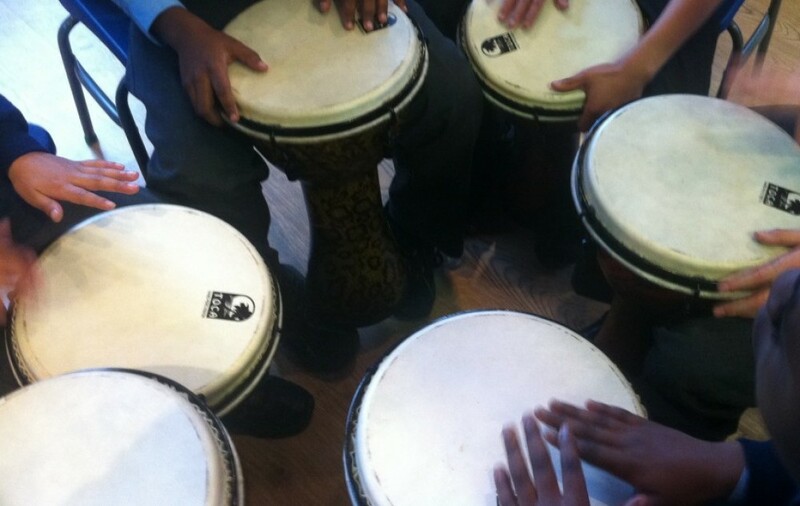 Merton Music Foundation have been working very hard to make sure that our performance will run smoothly. There are so many decisions that have to be made such as which doors each schools enter by, where each school will leave their things, which doors we need to leave by etc. We were able to look around some of the back stage areas and see where you will be waiting when you are off stage. While we were looking around there was a rehearsal of “Singing in the Rain” going on so we had to be very quiet! When I am in school I will show you roughly the area we will be performing from. We have to arrive at 2pm so we are likely to leave school before lunch time but we will tell you the exact time when we know. Are you getting excited? what door do we exit. Will our parents meet us at the Stage Door?How long do we practice?Which stage door do the parents come in and collect us? Basically we go there and find our dressing room, if we have one,depends on the seating we get and then rehearse at our seats with Pete,the band, soo’s choir, the orchestra and the other schools. We have our tea.Then our parents and other people who bought tickets take their seats, we perform half of the actual performance and take a break. After that we perform the other half, finish of, the balloons will drop (Yay) and finally we will leave through one of the back doors and our parents will collect us, a bit of a hassle but super fun all the way through! I have booked my tickets and cant wait to get them. Im so excited to sing at one of the most famous halls in the world. All of Year 5 will sing amazing, and we are so lucky to have this opportunity good luck to the whole of year 5.
i can’t belive that we are in the comptishan. How many people will be seeing the performance? How many people are in the performance? How far is The Royal Albert Hall from here? I cannot wait to go to the Royal Albert Hall. We year 5 should be respectful for all our opportunitys we have. Us YEAR 5 ROCK. Well I am going to reply but I’m not going to answer your questions for you! Have at look at the Royal Albert Hall website links on our blog to see if you can find the answers! what will happen if your parents don’t come but they pick you up or if someone you now but isn’t your parent picks you up!!!!! !, is it aloud if it is i cant wait to see you guys. Are we going to get dressing rooms? When are we going to eat lunch? Are we going to get toilets?….lucouirios toilets? I know that this is going to be an exciting experience that only alittle bit of children are going to experience. It is fine for your parents to pick you up from outside or for them to make arrangements for someone else to pick you up. Your parents will need to tell your class teacher who is collecting you. Nobody will get a private dressing room! Each school has a backstage area to leave their stuff and to eat their packed tea. It will be a bit squashed and not very luxurious I’m afraid! Will the parents be waiting at our door,once the show ends? what happens if are mums and dads dont have a ticket and they come late. If they don’t have a ticket they will not be allowed in to watch you. They will have to pick you up from outside of the Royal Albert Hall. We will tell you which number door we will be using. What do you think will happen if they are late?! You will just have to wait for them to show up before you can leave. Will i just need to wait. How did the royal albert hall become famous? I would like you to find out and then tell us! Im reall excited to go to the royal albert hall and sing there! When was the Royal Albert made and, what is it like when you go to the Royal Albert Hall for the first time? Actually Darrel I am going to ask you to find the answer to your question! Where are you going to look to find out when the Royal Albert Hall first opened? I garuntee everyone in year5 will enjoy going to the Royal Albert hall, Chior went in 2011, and it was great, when you get there and there’s sucurity gaurds, and they put the wrist bands on your wrist you really feel part of something special. Going on the stage, when you see all the people, lights, the orchestra you just feel really happy and special. Wait till you see Pete at the end of the concert, he gets sweat all over him, but he’s great! An inspiration.The songs are really good, and I can’t wait to sing them infront of all the people. I really can’t wait until the trip because i love learning all the songs and i really hope that my family will enjoy it! It’s my favourite for the performance!I can’t wait until we get there because once you set foot in the actual building your mouth drops in awe of the size of it!It’s a moment i’ll never forget! There will be an official video of the concert so maybe they can watch that? Hey ,I really like the songs and can’t wait to sing them in the Royal Albert Hall.Also I can’t wait to meet Soo and practice the songs with the other the schools.I hope we learn the songs really well. I love learning the songs for the performance and I can`t wait until the real thing. Every rehersal feels so much like I`m really there.I can`t wait to get my tickets,I`ve booked them already! I am feeling ecstatic. The Royal Albert Hall is coming closer and closer. After seeing what it REALLY looks like, I just can’t wait to go. mrs i havent got tickets yet but do you think their is anoth left and i cant wait until the performance and i hope my mum and dad injoy it and i love the songs. There are still some ticlets left if your family want to buy some but they usually sell out! Don’t worry Honey my parents don’t have tickets either but i’m sure they’ll get the video like yours hopefully! 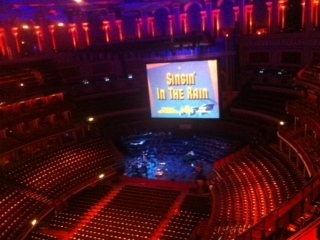 The songs are really good and the Royal Albert Hall looks really exciting and we have done something like this before! What is it like in the Royal Albert Hall?